Dr Kanjaksha Ghosh, former director of Indian Council of Medical Research and also a director of Haemophilia Federation of India is from Mumbai, while Dr Tapas Kunde, is a Nashik-based homoeopathic doctor. Haemophilia, also called the ‘royal disease’, is a genetic disorder that affects the body’s ability to clot blood and leads to internal bleeding. In 2014, data with HFI suggested that the disorder led to 30 deaths across the country. Currently, there are close to one lakh patients of haemophilia in India. 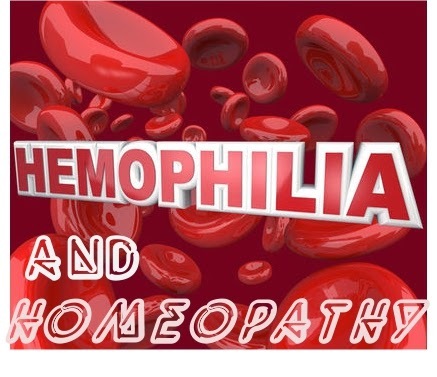 Dr Ghosh said, “The conventional treatment for haemophilia requires Factor VIII and Factor IX concentrates. However, India has to import these concentrates which costs a huge sum and there is always a supply-demand inequality.” Factor VIII and Factor IX are proteins that help in blood clotting. According to doctors treating this disease, a patient requires close to Rs 1.3 lakh worth units of factor concentrate for his treatment every year. Dr Tapas Kunde, Nashik-based homeopathic doctor who is also a part of this research, said, “In rural areas, patients are not able to reach out to factor concentrate as imports are low. In absence of factor concentrate, we administer homeopathic medicines to patients . If the bleeding stops within 30 minutes, we continue with the dosage. For each patients, the need for homeopathic medicine is different.” The doctor used Sulphur, Calcaria Carbonica, Causticum and others homoeopathic medicines on patients. Under the new process, over 430 patients in Mumbai, 327 in Nashik and close to 50 in Surat have been treated successfully.